Thermal taster status (TTS) is determined when the tongue is cooled or warmed, whereby thermal tasters (TT) experience a taste sensation while thermal nontasters (TnT) do not. The literature suggests that TT experience greater responsiveness (higher intensity ratings) to orosensory stimuli; however, small sample sizes and differences in classification schemes between studies confound our understanding of TTS. In addition, up to 50% of individuals (nonclassifiables, NC) have been excluded from previous studies and have yet to be characterized. Raw responses to the thermal-elicitation procedure were used to determine the TTS of the same participants using four published classification schemes, and concordance between the schemes was examined using Fleiss’ kappa. Using a large convenience sample (n = 708), we tested for differences in orosensory (ANOVA) and temperature (Mann-Whitney U) responsiveness between TT, TnT, and NC. TT are more responsive than TnT to both orosensations and temperature changes, regardless of the classification method used despite only moderate concordance between the schemes. 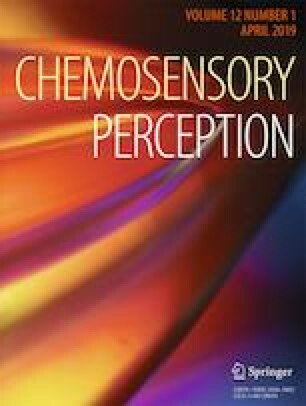 Overall, the orosensory and temperature responsiveness of NC is intermediate to that of TT and TnT. However, the responses of NC are not homogeneous and subgroups are identified. The trend of TT being more responsive to orosensory and temperature stimuli is confirmed. The responsiveness patterns of NC subgroups suggest they are misclassified TT and TnT, and can be included in future studies examining thermal tasting. TTS is an important source of individual differences in orosensory responsiveness, and our findings inform best practices for thermal elicitation and classification. The online version of this article ( https://doi.org/10.1007/s12078-019-09264-w) contains supplementary material, which is available to authorized users. Alex Bartolini, Alison Moyes, Sarah Lucas, Atzin Gonzalez, Hannah Pickering, Stephanie Small-Kelly, Rachel Kvas, Lynda van Zuiden, and Catherine Klodnicki are sincerely thanked for assistance with collecting data. The contribution of the participants is gratefully acknowledged. This project was funded by a Natural Sciences and Engineering Research Council of Canada Discovery Grant to GP. All procedures performed in studies involving human participants were in accordance with the ethical standards of the institutional and/or national research committee (Brock University Research Ethics Board, REB-05-258, 08-006, 08-065, 08-216, 10-193, 12-116, 12-181,14-119, 14-120, 15-018) and with the 1964 Helsinki declaration and its later amendments or comparable ethical standards. Informed consent was obtained from all individual participants included in the study.